The Armored Group Ballistic Armored Technical Transport (BATT-APX) is a fully modular armored rescue vehicle that can be built on a variety of chassis, allowing ease of use and reduced maintenance costs. 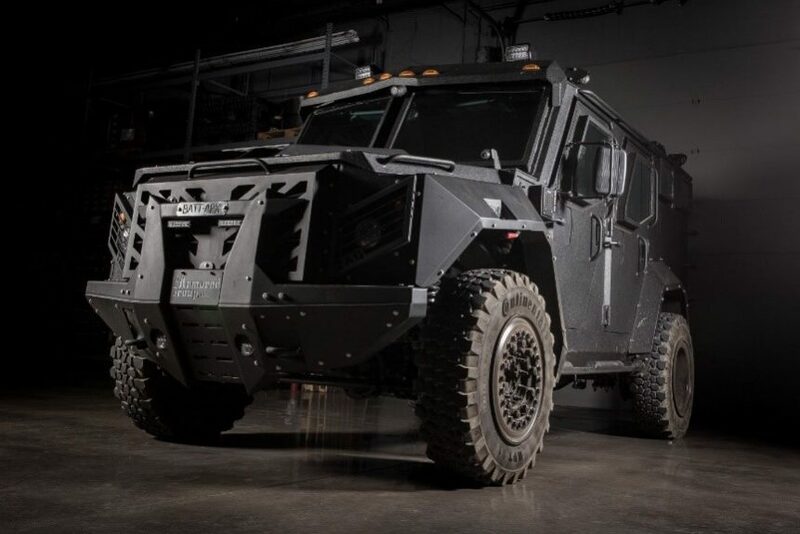 Designed and engineered in Detroit, the BATT-APX features proven and independently verified .50 caliber armor protection and offers capabilities including adjustable hydraulic ram, gas injection devices, thermal cameras, winches, and turret protection. This new modular platform can also be adjusted for EOD, Medevac, and Border Patrol teams to help save law enforcement officers’ lives.